Similar words: dried fruit, fruit, fruits, fruity, fruitage, fruition, fruitful, fruitcake. Meaning: n. 1. native to Pacific islands and having edible fruit with a texture like bread 2. a large round seedless or seeded fruit with a texture like bread; eaten boiled or baked or roasted or ground into flour; the roasted seeds resemble chestnuts. 1. He became an expert on breadfruit. 2. A rough hut, breadfruit, bananas, no one to talk to. 3. The neutral flavor of breadfruit will allow other herbs and spices to be added to easily alter the taste to one's preference. 4. The breadfruit is a remarkable food: The prickly football-size pod is full of nutrients and energy. 5. Capt. Bligh finally delivered breadfruit trees to the Caribbean, but it took almost five decades for locals to develop a taste for it, according to some accounts of his mission. 6. Now, she and other breadfruit believers are ready to teach people that breadfruit can be appetizing, starting in Hawaii. 7. Breadfruit has long been a staple in Pacific islands, from where it spread to the Caribbean and Africa. 8. 'Think of sauteed breadfruit as a platform for any kind of cuisine or flavor, ' she says. 9. Breadfruit is a large tree, in the mulberry family, found native to the Philippines and all the islands in Southeast Asia. 10. 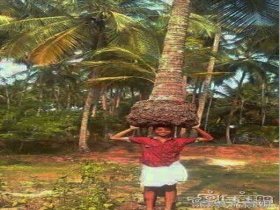 Coconut palms and breadfruit trees grew at the doors of their huts. 11. Ms. Ragone suggests sauteing breadfruit slices in butter until golden brown, then sprinkling cheese to make breadfruit nachos. 12. At the Marriott, for example, guests ramble amid breadfruit and frangipani trees and photograph one another by an enormous, amoeba-shaped swimming pool. 13. Breadfruit grows on trees and produces a large green fruit the size of a melon. 14. Breadfruit is also candied, or sometimes prepared as a sweet pickle. 15. Breadfruit has the same texture as bread. 16. Plants used as food - Coffee, Tea, Chocolate, Breadfruit. 17. Philippine tree similar to the breadfruit tree bearing edible fruit. 17. Sentencedict.com is a online sentence dictionary, on which you can find good sentences for a large number of words. 18. The result was a breadfruit initiative that has enlisted chefs and restaurants to pitch the fruit and has sent advocates to local schools to get young people interested in eating breadfruit. 19. The ripe fruit is soft and sweet, while the unripe fruit is harder and starchy, which is where it got the name breadfruit from, as it tastes similar to freshly baked bread when cooked. 20. Breadfruit is a far more abundant source of starch and so perhaps those ascending in the tropics will consider planting a breadfruit tree as another option in one's ascending garden. 21. A more elaborate dessert is concocted of mashed ripe breadfruit , with butter, 2 beaten eggs, sugar, nutmeg, cinnamon and rosewater, a dash of sherry or brandy, blended and boiled. 22. Now almost a year later, they still live in a shelter they built by cutting a breadfruit tree in their garden. Their tailoring business has not resumed. 23. 'You know, it's fattening and it doesn't even taste that good, ' says Michelle Sewell, who has breadfruit trees outside her home on Maui island but never eats the fruit. 24. Britain's Royal Society dispatched Capt. William Bligh to Tahiti in 1787 to collect breadfruit specimens to help feed colonies in the West Indies. 25. There are also nature trails through the lush tropical foliage of bamboos, ferns, ginger lilies, orchids, crotons, palms and breadfruit trees. More similar words: dried fruit, fruit, fruits, fruity, fruitage, fruition, fruitful, fruitcake, fruiterer, fruitless, bear fruit, fruit salad, kiwi fruit, jackfruit, unfruitful, fruitfully, grapefruit, fruit juice, firstfruits, break bread with, fruitlessly, citrus fruit, passion fruit, fruitfulness, fruiting body, dreadful, dreadfully, bread, breadth, rye bread.